A new scientific study that stunningly suggests the human race sprang from a single adult couple, as the Bible records, also suggests animals appeared at the same time, also as the Bible suggests. It was a major shock to evolutionary science when a sweeping survey of the genetic code showed the human race sprang from a single adult couple, such as an Adam and Eve. The research was led by the Rockefeller University and the University of Basel, Switzerland, and shocked all involved. 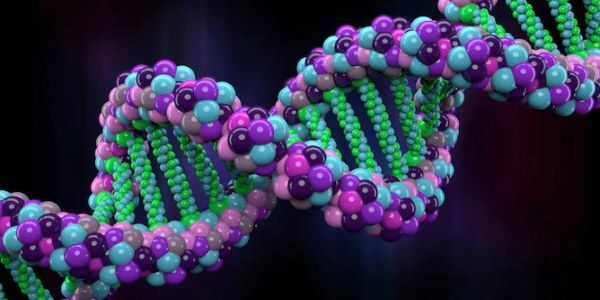 It was Nathaniel T. Jeanson, an expert in cell and developmental biology who works with Answers in Genesis, who had written about the mitochondrial DNA research recently. Jeanson holds a Ph.D. from Harvard and serves as a research biologist, author and speaker with AIG. While that aligns with the biblical account, it defies the typical understanding of evolutionary theory that claims animal forms preceded humans, because humans likely developed from animal forms. In an online report, Jeanson explained the focus on genetics, specifically a subset of DNA in human and animal cells, mitochondrial DNA. The research is straightforward, he said, citing the explanation that “DNA barcoding” is being used in the field of classification of life. While skeptics raised objections, they later were mostly “mollified. “I can attest to this from my own experience in handling thousands of mtDNA sequences. As a representative of the mtDNA diversity among species and individuals, a subset of mtDNA sequence is a good first approximation. Though subsets aren’t always perfect representations of the whole sequence, they are good initial data points,” Jeanson explained. One of the conclusions was that the origins were “a single sequence” of genetics for humans. “The simple hypothesis is that the same explanation offered for the sequence variation found among modern humans applies equally to the modern populations of essentially all other animal species. Namely that the extant population, no matter what its current size or similarity to fossils of any age, has expanded from mitochondrial uniformity within the past 200,000 years,” the scientists found. Of course the Bible suggests a time span of 6,000 years, not 200,000. Interestingly, a report only days ago revealed that a scientific study now has aligned with the biblical account of the ancient cities of Sodom and Gomorrah being destroyed by fire and brimstone from the heavens. The post Animals 1st appeared alongside 1st humans, expert explains appeared first on WND.